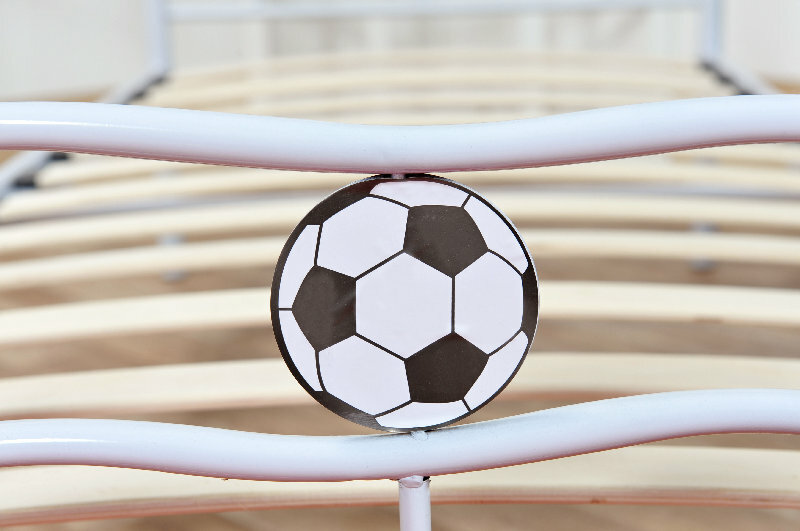 The Children's Football Bed Frame is the perfect bed for those little trouble makers. 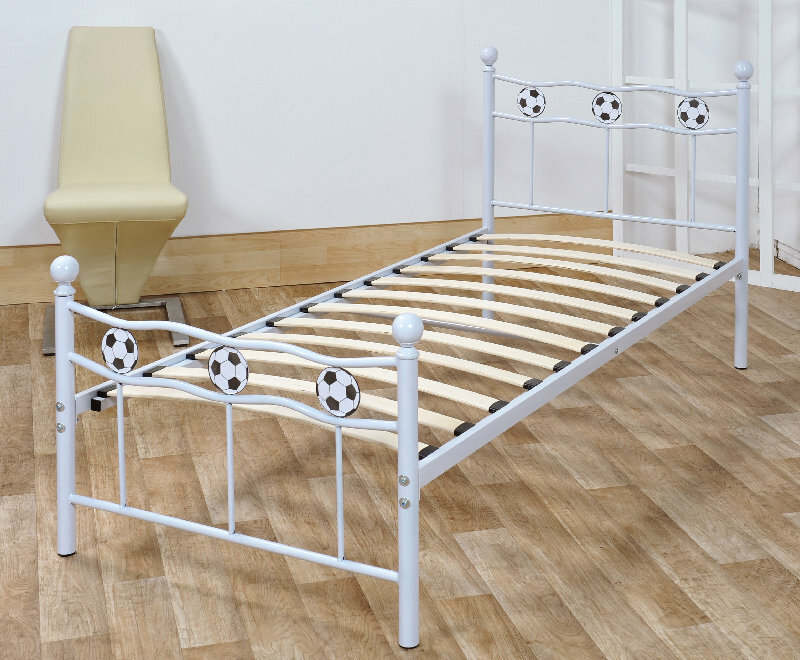 A single sized bed frame with a metal finish in either a White or Black Colour. 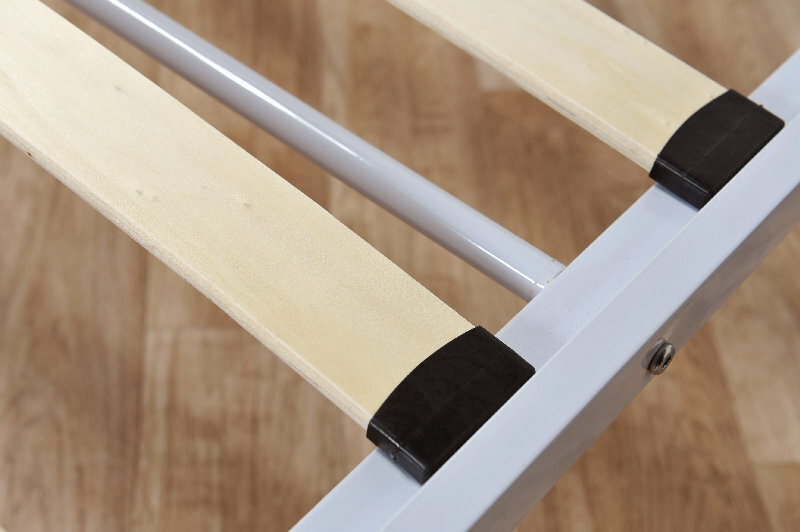 Built to be light with sturdy & strong construction to withstand the mischief the kids may get up to. The frame even has space underneath for storage (or for the kids to hide under). This new & modern football is vastly improved over out previous version with better contruction, better packaging and better finish overall. 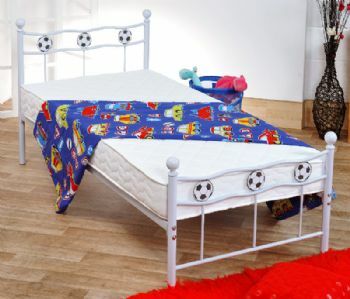 Please note that this Football Bed is Brand New & Boxed up but it is Factory Second. Meaning there will be minor imperfections with the frame, some dust marks, minor scratch marks etc.